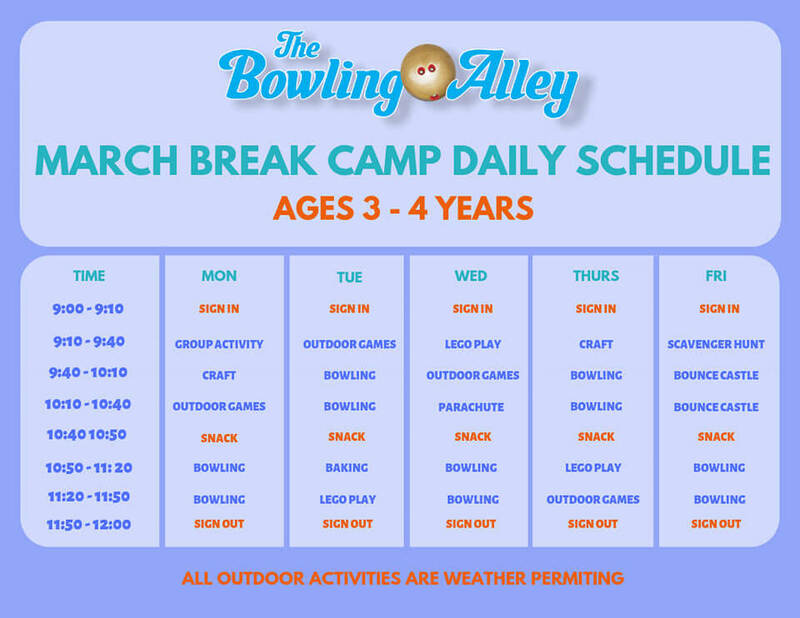 March Break is around the corner and that means the start of our Bowling Alley March Break Day Camp! 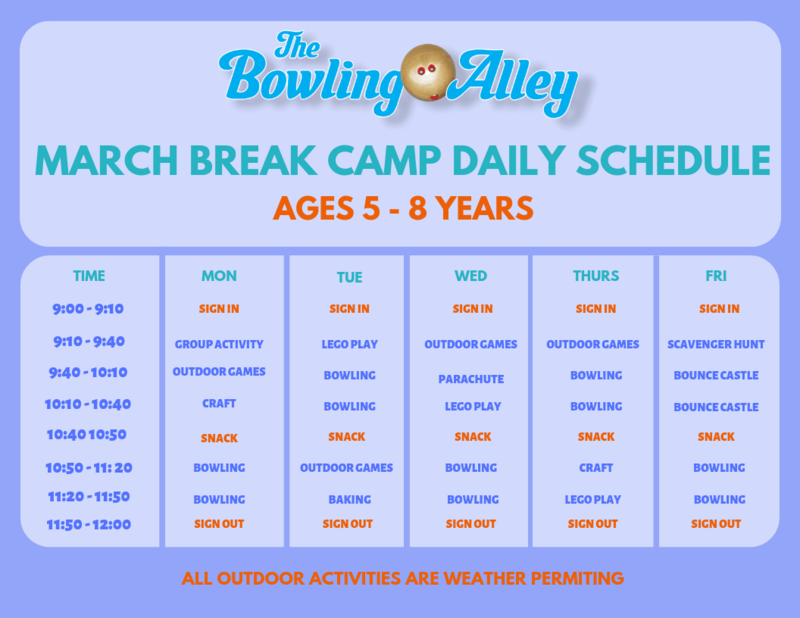 Kids ages 4 - 8 years can keep active all March Break long while having fun and making new friends. 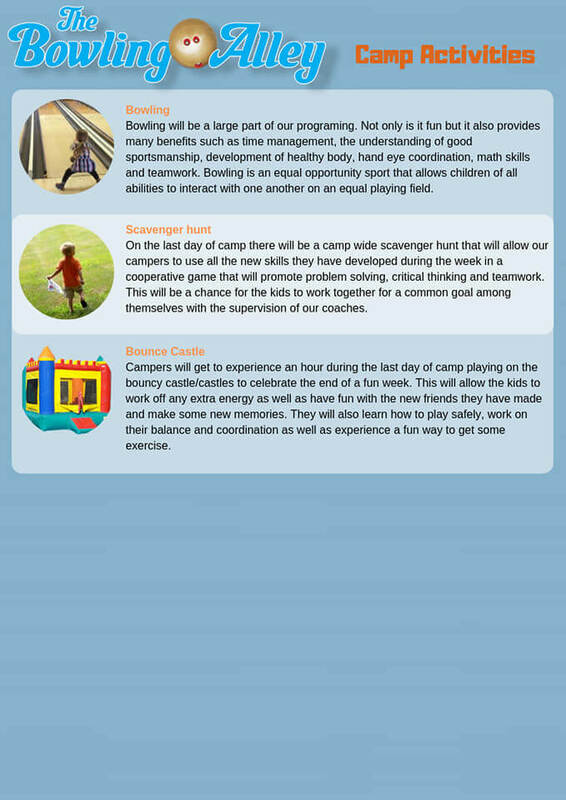 Our camp gives kids the opportunity to learn new sports and activities while developing their gross and fine motor skills. 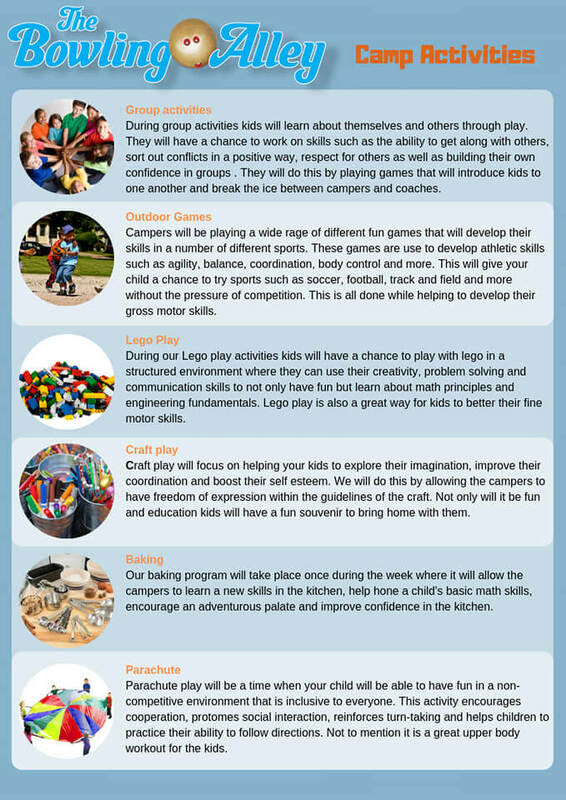 Our camps also offer programing that includes LEGO Play, Craft Play, Circle Play, Bowling, Baking, Outdoor sports as well as a Bouncy Castle experience for your kids on the last day of camp. 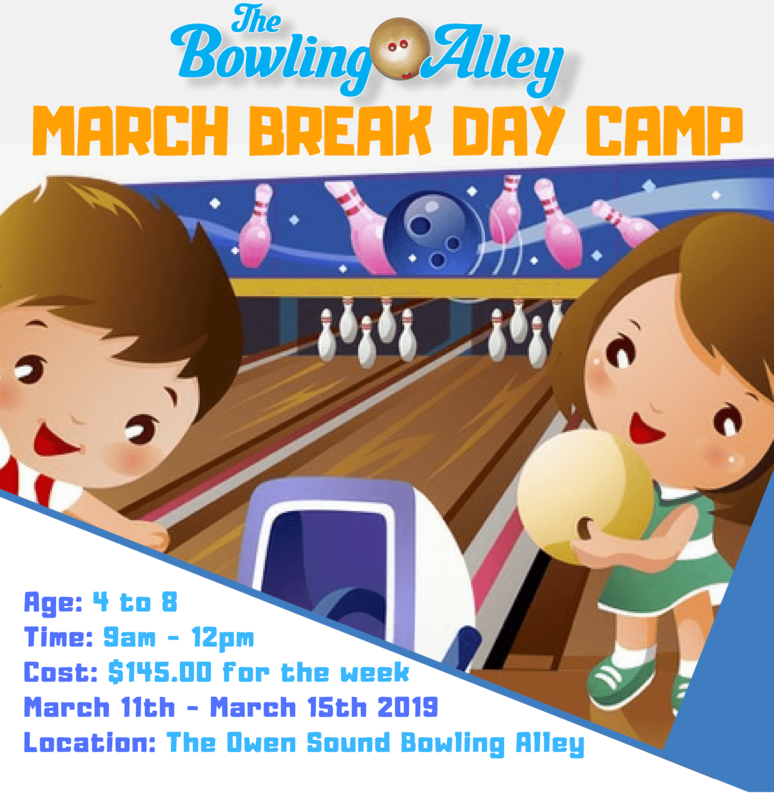 This year our March Break Camp will be running from March 11th - March 15th 2019. Register today to ensure that you are able to book as spaces will fill up quickly. All camp staff have completed a police background check and Child First Aid. Staff all have completed post secondary education in either Child Care or Recreation and Leisure programs. If you are looking to register please send a message including your name, child's age and phone number. Once received a registration from will be sent to you. You can also contact the camp by phone with any questions about registration at 226-923-1400. Our Camp staff all have vast past experience working in a day camp environment. They’re committed to ensuring that your kids have fun all while making sure they are safe. Our staff all have CPR C first aid training as well as a Police background check done prior to camp beginning. We also have a nurse on staff to help with anything the kids may need as far as medication administration.